Italian prog-fusion band, formed out of the ashes of ex-Osanna split-off band Uno along with Corrado Rustici from Cervello. It is said that they were formed in London in 1975 and they stayed in the UK for a while. 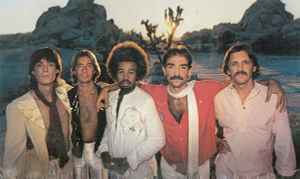 By the time of their second album only two original members remained: Elio d'Anna and Corrado Rustici, with new members Renato Rosset, Percy Jones and Narada Michael Walden turning them into a more international band, with the latter two then replaced by Barry Johnson and Ric Parnell. Genesis drummer Phil Collins also featured as guest percussionist on some releases.